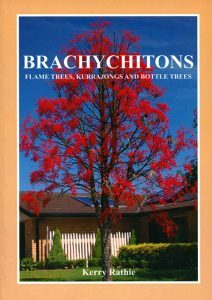 Brachychitons: flames trees, Kurrajongs and bottle trees. Containing details of all known species of Brachychiton, as well as the naturally-occurring and man-made hybrids, with colour photographs of each. 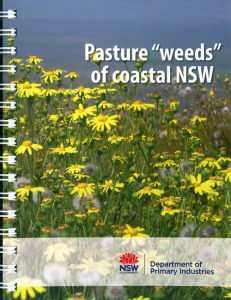 Also gives information on the horticultural and other uses of this fascinating genus. A guide to Begonias for gardeners, naturalists and professionals alike. One of the world’s most distinctive trees, ginkgo has remained stubbornly unchanged for over two hundred million years. A living link to the age of dinosaurs, ginkgo is beloved for the elegance of its leaves, prized for its edible nuts, and revered for its longevity. This engaging book tells the full and fascinating story of a tree that people saved from extinction – a story that offers hope for other botanical biographies that are still being written. Inspired by the historic ginkgo that has thrived in London’s Kew Gardens since the 1760s, renowned botanist Peter Crane explores the evolutionary history of the species from its mysterious origin through its proliferation, drastic decline, and ultimate resurgence. 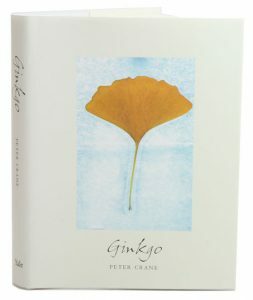 Crane also highlights the cultural and social significance of the ginkgo: its medicinal and nutritional uses, its power as a source of artistic and religious inspiration, and its importance as one of the world’s most popular street trees. Readers of this extraordinarily interesting book will be drawn to the nearest ginkgo, where they can experience firsthand the timeless beauty of the oldest tree on Earth. ‘Among all the varied productions with which Nature has adorned the surfaces of the earth, none awakens our sympathies, or interests our imagination so powerfully as those venerable trees, which seem to have stood the lapse of ages…’ John Muir, 1868 A fascinating celebration of the some of the oldest living organisms on the planet, from the grand Oaks of Europe and mighty Redwoods of California to Africa’s ‘upside-down’ Baobab tree, and from the Ginkgos of China and Korea to the Olive tree, the worldwide symbol of peace. Ancient Trees covers those species of tree that have lived for more than a thousand years: the Redwood, Bristlecone pine, Montezuma Cypress, the Monkey Puzzle, Amazonian Ancients, Yew, Oak, Sweet Chestnut, Lime, Olive, Welwitschia, the Baobab, Kauri, Totara, Antarctic Beech, the Fig, Cedar, and Ginkgo. 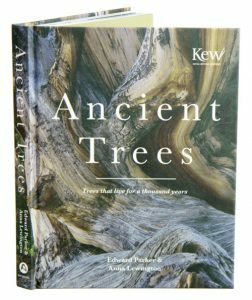 Anna Lewington, the well-known writer on all things botanical, and leading wildlife photographer Edward Parker provide an illuminating and visually striking history of each tree species, including where the long-living species can still be found, the tree’s botanical details, and its mythical associations. 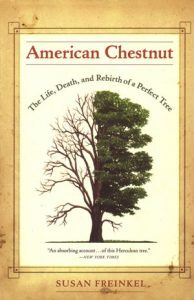 American chestnut: the life, death and rebirth of a perfect tree. The American chestnut was one of America’s most common, valued, and beloved trees – a ‘perfect tree’ that ruled the forests from Georgia to Maine. In a weave of history, science, and personal observation, this work relates the author’s quest to save the tree through methods that ranged from classical plant breeding to advanced gene technology. 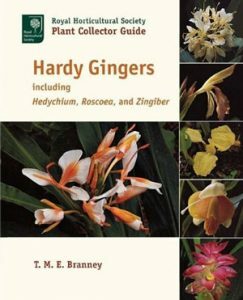 Hardy gingers: including Hedychium, Roscoea and Zingiber. This title is not held in stock but we are happy to supply on special order. Please contact us. Hardy gingers are in high demand again as gardeners have rediscovered their intricately constructed flowers, beautiful perfumes and lush foliage. This remarkable new book demonstrates that although most gingers are tropical plants, a substantial number are perfectly suitable in the English garden. 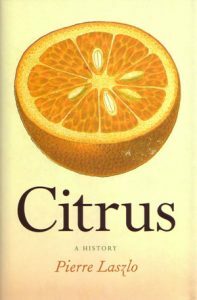 Traces the rise and spread of citrus across the globe: from Southeast Asia in 4000 BC through North Africa and the Roman Empire to early modern Spain and Portugal, whose explorers introduced the fruits to the Americas during 1500s. Also available in hardcover [stock id 27033]. 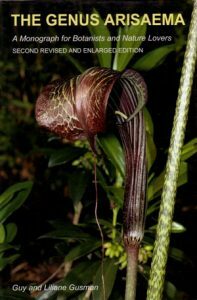 The genus Arisaema: a monograph for botanists and nature lovers. Artist/Author: Gusman, Guy and Liliana Gusman. Arisaema is a large genus within the Arum family, consisting of about 200 species, subspecies, and varieties distributed widely around the world. This second revised and updated edition includes more than 10 new species described since 2002, along with recent developments in taxonomy, geographical distribution of species, revised tables for keying species, and many new photographs. Coverage for each species (arranged by section) includes detailed descriptions of the subterranean stem, shoot, leaf, inflorescence, and fruiting spike, with notes on the flowering period, distribution, and habitat. Fabulous color photographs, many of plants in their natural habitat, are supplemented by color illustrations that clearly identify species. 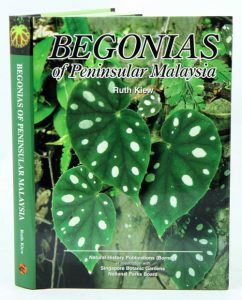 There are chapters on arisaemas in the wild and in cultivation, and on propagation, and cultivation notes are provided for each section. Almost 21,000 entries, a comprehensive index containing 1,500 alternative scientific names and 27,000 common names in numerous languages. 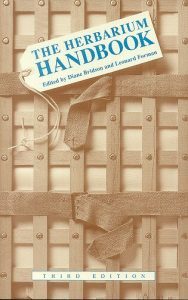 Artist/Author: Bridson, Diane and Leonard Forman, editors. 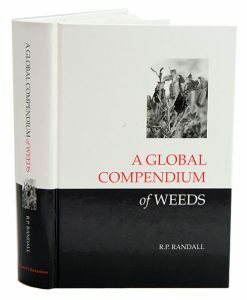 Includes sections on taxonomy; the herbarium building, collections and materials; herbarium techniques and management; and collecting. Artist/Author: Kearns, Carol Ann and David William Inouye. Incorporates all techniques published in the pollination literature as well as unpublished methods compiled fro practicing pollination biologists. The bibliography includes 1,200 references from more than 200 journals, plus books and previously unpublished material. Appendices list sources for all the equipment and chemical needed. 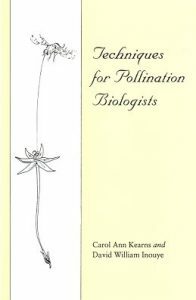 Techniques for Pollination Biologists incorporates all techniques published in the pollination literature as well as unpublished methods compiled from practicing pollination biologists. The bibliography includes 1,200 references from more than 200 journals, plus books and previously unpublished materials. Appendices list sources for all the equipment and chemicals needed. This book presents the newest techniques such as fluorescence microscopy to examine pollen tubes, high-pressure liquid chromatography for nectar analysis, and using particle counters to count pollen grains and nuclear magnetic resonance for floral odor analysis. Basic techniques are described for labeling plants, manipulating flowers, marking or excluding, and designing simple but elegant experiments with small budgets. The book also examines potential pitfalls for pollination studies and offers cautionary advice about designing and implementing different types of pollination experiments. Carol Kearns is assistant professor of biology at Wesleyan College. Her research interests are in the fields of plant mating systems and fly pollination. David W. Inouye is associate professor of zoology and botany at the University of Maryland. Dr. Inouye’s curiosity is directed to studies of plant and insect ecology, pollination biology, and flowering phenology.